GALVESTON, Texas, December 21, 2009 (ENS) – A federal jury in Galveston Friday awarded more than $100 million to 10 plaintiffs who claimed that they were exposed or injured in a series of toxic emissions in early 2007 at the BP oil refinery in Texas City, Texas. The jury in Judge Kenneth Hoyt’s court awarded $10 million in punitive damages to each of the plaintiffs although the company repeatedly denied that leaks of toxic fumes had occurred on four dates in March and April 2007. BP officials maintain that there was no release of toxic fumes from the refinery, denied the company had harmed any of the workers and said the company intends to appeal the verdict. The three-week trial included claims of the first 10 of 110 plaintiffs with pending negligence and damage claims against BP. Tony Buzbee, Sean O’Rourke, Nicholas Simon, and Peter Taaffe of the Buzbee Law Firm’s Houston office represent seven of the 10 plaintiffs. Arnold & Itkin LLP of Houston represented the other three plaintiffs at trial. 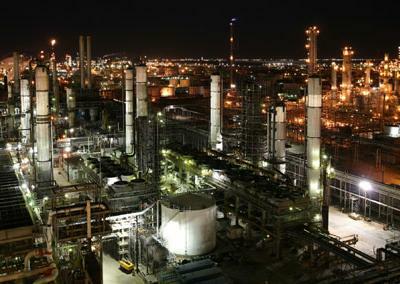 Texas City is BPs largest refinery worldwide and the third-largest refinery in the United States. Several major safety incidents have occurred at the refinery. In September 2009, the U.S. Occupational Safety and Health Administration hit the company with an $87.4 million fine for not complying with a safety agreement made after a March 23, 2005 explosion and fire that killed 15 workers and injured more than 170 others. In February 2009, BP Products North America agreed to pay $180 million to resolve another environmental lawsuit over benzene emissions at the refinery. That case involved violations of a 2001 consent decree and Clean Air regulations which were identified during inspections by the U.S. Environmental Protection Agency following the March 2005 blast. Under that settlement, BP agreed to spend $161 million to address Clean Air Act violations by setting up better pollution controls, enhanced maintenance and monitoring devices and improving internal management practices. Another $6 million was designated to fund a project to reduce air pollution in Texas City and $12 million was paid as a fine. In October, BP officials defended the company’s safety efforts at the refinery. Located just south of Houston, the plant includes 29 oil refining units and four chemical units spread over a 1,200 acre site. The Texas City refinery makes about 2.5 percent of all the gasoline sold in the United States. BP Products North America, headquartered in Warrenville, Illinois, operates petroleum refineries in California, Indiana, Ohio, Texas and Washington. BP North America Inc. is a subsidiary of BP p.l.c., headquartered in London, England.